The International institute of Tropical Agriculture (IITA) and the African Development Bank (AfDB) held a project pre-appraisal meeting for the Bank’s new initiative, Feeding Africa or Technologies for African Agricultural Transformation (TAAT) program, 18-30 July 2016, at the IITA headquarters in Ibadan, Nigeria. The TAAT program is a critical strategy for transforming agriculture on the continent that would ensure that Africa is able to feed itself through agriculture. Cross section of the audience. 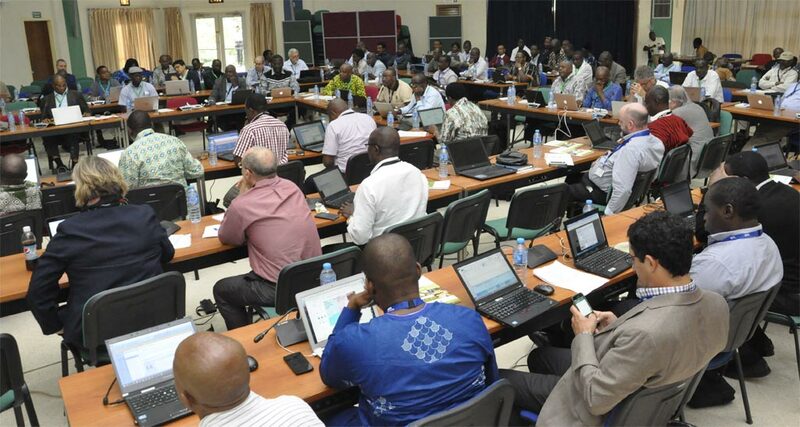 The appraisal meeting took place in batches to allow for closer interaction; Week 1: The first leg of the meeting was held from 18-23 July, involving all participants within the following Priority Intervention Areas (PIAs): Sahel, Savannah, Cassava, and Rice. The second leg of the meeting took place 25-30 July, involving all participants within the following PIAs: Tree plantations, Horticulture, Wheat, and Inland fish aquaculture. The appraisal mission brought together all TAAT participating CGIAR centers and non-CGIAR institutions and NARES partners that have submitted technologies that are ready to be scaled up/out for consideration under the program. They jointly reviewed and finalized activity plans and budgets to undertake the scaling out of the proven technologies. Thereafter, he gave a brief overview of the TAAT. He said the overall goal of TAAT was to execute a bold plan to achieve rapid agricultural transformation across Africa through raising agricultural productivity along eight Priority Intervention Areas. These interventions are; Self sufficiency in Rice production; Cassava Intensification; Food Security in the Sahel; Transforming African Savannah into Breadbaskets, Revitalizing Strategic Tree Plantations; Expanding Horticulture; Increasing Africa’s wheat Production and Achieving self sufficiency in inland fish production. The ten- day meeting brought together many potential partners to discuss the various proven technologies and innovations retained for deployment, and their critical roles in the actualization of the program. Several presentations from a number of CGIAR centers, NARES and the leaders of the Priority Intervention Areas(PIAs) dwelt on the proven technologies and innovations retained for deployment, and important rationales- including the value adding and synergy of those retained, how the “proven’ technology/innovations propositions from different partners (CG centers, NARS, Private Sector, Advanced Research institutions, Universities etc) fared and key recommendations in relation to the selected technologies and innovations. The highly interactive meeting covered all the 24 value chains and different shades of presentations from leaders of the eight PIAs and representatives of CGs centers on their proposed roles in the Bank’s new agricultural initiative. Their submissions were critically interrogated by the audience; as a result, great attention was paid to key recommendations elicited from the exhaustive deliberations. Some of the notable presentations at the meeting were on the roles of AGRA, FARA and partners on capacity development and outreach, IFPRI & Partners in Policy support services and Project Intervention Areas of cassava intensification, rice sufficiency and wheat value chains and procurement. The role of the private sector, non-governmental organizations, agricultural extensions, scaling up and mechanisms are not left out in the scheme of things. A full spectrum of private sector partners will be utilized in all the PIAs in areas of input manufacturers, agro-industrial, processors, agribusiness development specialists, credit services and insurers. “Our focus on the private sector is to ensure the sustainability of the TAAT project activities and gains even when the project has ended,” said Dr. Chianu. 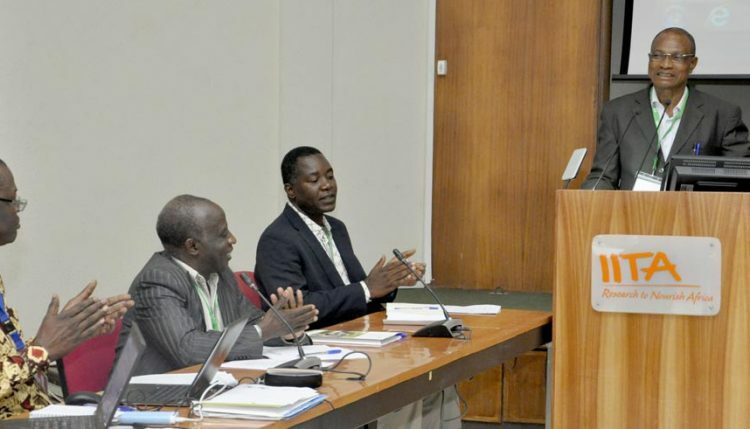 The pre-appraisal meeting took place almost three months after the successful launch of the TAAT program initiative in April 2016, which was attended by various stakeholders and potential partners from national agricultural research and extension systems (NARES), CGIAR centers, international organizations, and the private sector. TAAT will be implemented in 35 Regional Member Countries (RMCs) of the Bank and along 24 specified commodity value chains.